H.H. 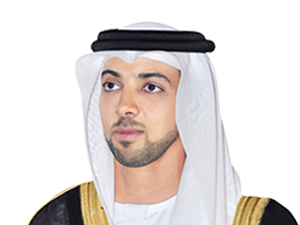 Sheikh Mansour bin Zayed Al Nahyan is the Deputy Prime Minister of the United Arab Emirates and Minister of Presidential Affairs. His Highness is also the Chairman of the Ministerial Council for Services, the Emirates Investment Authority and Abu Dhabi Fund of Development. He sits on the Supreme Petroleum Council and on the boards of numerous investment institutions.